Caroline Fanning RTMA, B.E., BCL, MIEI, Solicitor is the Principal of the firm. Caroline graduated from University College Dublin (UCD) in 1995 with an honours degree in Electrical Engineering and proceeded to work as a software engineer in Ireland, the UK and Australia designing and developing a wide variety of applications for the banking, insurance to include Designing and Coding the ELITE v3 Insurance Claims Administration Domino/Lotus Notes application in 1999-2001 for Sedgwick OSG (formerly Miller Farrell Loss Adjusters) which is still in use today and Government sectors. The ELITE v3 system served as a salutary lesson for the need of a policy and legislative change to prevent employers/companies who acquire great wealth from exploiting IT workers (with generally poor working conditions) who create valuable intellectual property and are then unfairly dismissed which happened to me whilst pregnant in 2001 by the directors of Miller Farrell Loss Adjusters – the Managing Director being Malcolm Hughes former Ernst and Young entrepreneur entrant – with no comeback with all royalties and licensing fees accruing to the employer/company. 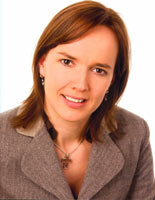 Caroline returned to UCD in 2000 to study law and went on to qualify as a solicitor in 2006. Caroline has extensive experience in conveyancing law, wills & probate law, family law, motor trade law and personal injury law. Caroline is also a registered trademark agent (RTMA). Winner of Irish Trademark Law Firm of the Year within Acquisition International’s Legal Awards on three occasions. Any article(s) published on this website intend to describe the subject in general terms. As such, it does not attempt to cover every issue which may arise in relation to the subject. It does not purport to be a legal interpretation of the statutory provisions and consequently, responsibility cannot be accepted for any liability incurred or loss suffered as a result of relying on any matter published herein.